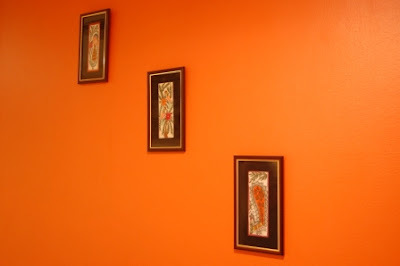 I am really glad to share the work of one of my blogger friend.we both felt we share similar taste to color orange.She is talented ,creative and beautiful.She has strong sense of playing with colors and coordinating furniture,fabrics and accents to match theme.I will be posting a "guest home tour" on my blog today and You all will be amazed to see her beautifully decorated"Ethnic Indian home "check these amazing pics below. 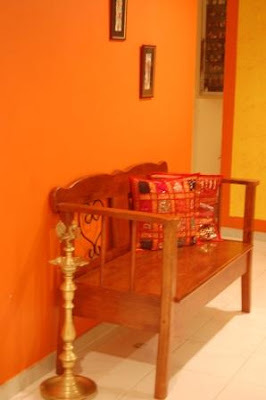 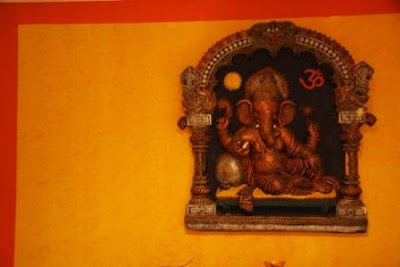 Absolutely awesome look at the bright orange wall and the Wooden seating area paired with Multicolored cushions and traditional Indian Brass Lamp .I must say Patricia Ur awesome . 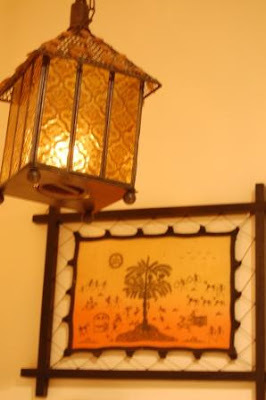 Just love this beautiful Lantern and Warli painting on the wall. 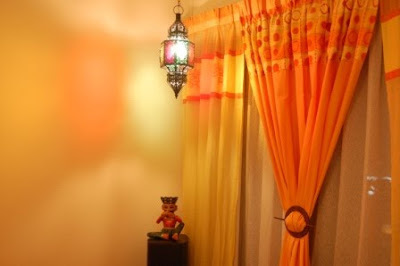 Please do visit her blog http://coloursdekor.blogspot.com/ to check more of her work.